Have you heard the news? We're goin' on a cruise! In February 2012, OWHers can take a vacation from the doldrums of winter - and head for the Caribbean for some crafty goodness. 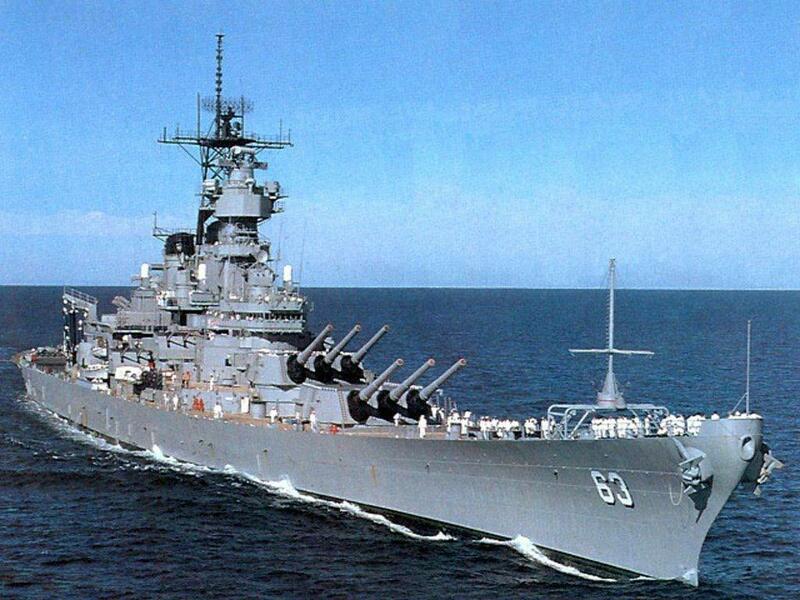 We'll leave from Fort Lauderdale on February 4th for 8 days on the high seas! 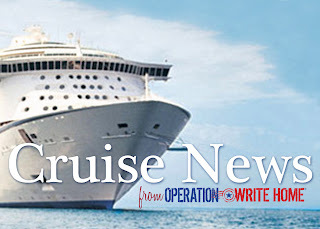 Each weekend we'll post some fun cruise details here - ports of call, amenities on board, classes, goodies that are donated. So be sure to subscribe by email to this Homefront Blog and keep up with the news! We'll be setting up an email list with just those who sign up, so we can get lots more info to you about plans coming together. Pssst Many many thanks to our OWH cruise coordinator Sherry - she's done great work on this so far! And the folks at Cruise and Crop have been so wonderful to work with - thank you Cherie and Gail! Our plan is to get everything we need to make cards donated - that means you can pack your bikini (time for Sandy to start the diet!) and your coloring medium (we may not get enough for everyone to have a set, so bring what you like to color with).....and just show up in our conference room to make cards! There will be tables for us to work at, tools to share, and goodie bags for everyone with the basics. We'll offer classes all week long, both in our room and out on deck, just to encourage us to get out and about. Stay tuned - we're going to be announcing the classes and the teachers as we get things lined up! And as for our ship, the Navigator of the Seas, it has something for everybody: mini golf, ice skating, day spa/fitness, full size basketball court, golf simulators (spouse alert! ), Adventure Ocean youth activities (keep the teens busy while we make cards), Casino Royale, various restaurants and lounges including Johnny Rockets 50's style restaurant, and internet (Sandy was worried!). Major wow factor! And so reasonable when you compare it to 8 nights at a land-based hotel. We're hearing about a number of ladies who want to go, but will be travelling solo. 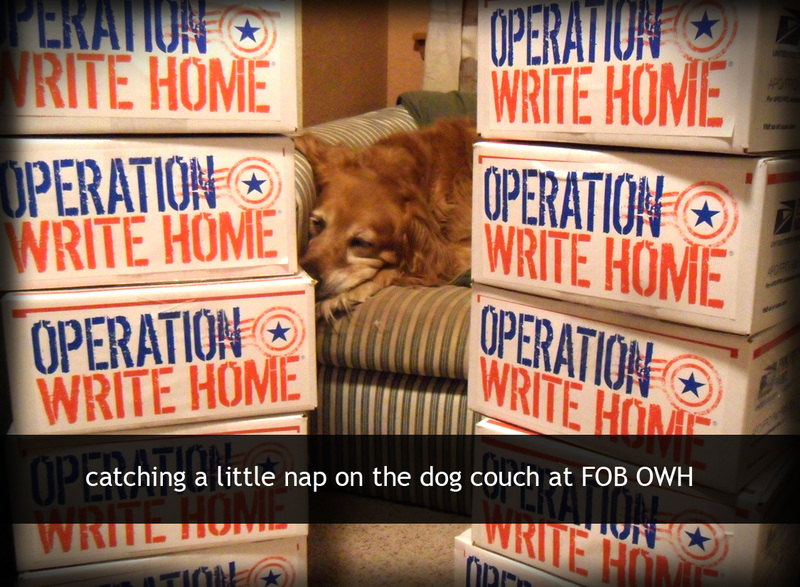 Email sherry@operationwritehome.org if you'd like some help connecting with someone - or leave a comment below and check back to see who else is looking for a friend to share a room with. If you're tantalized and ready to roll, sign up right away....the first 25 people will get a special gift from OWH! 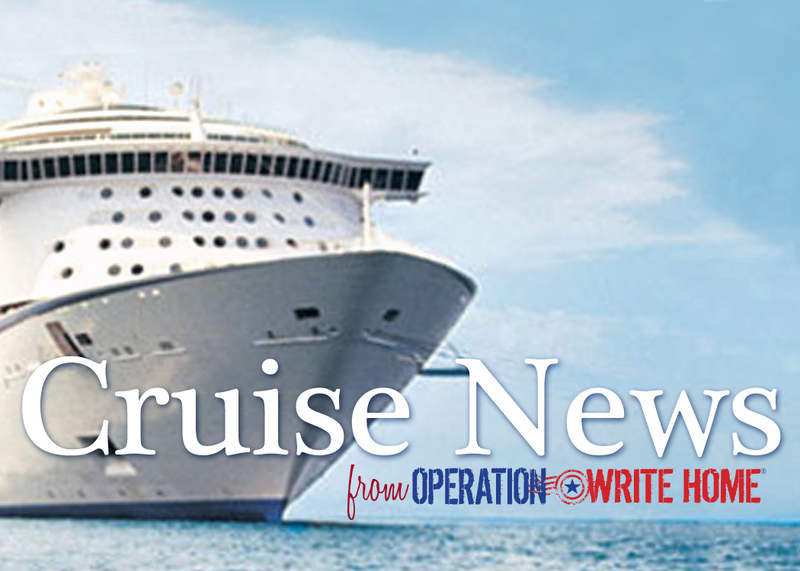 We want this cruise filled with 100 OWHers - but it's open to anyone who signs up, so be sure to reserve your spot on the list quickly. Now that CHA is over, we're back with the regular Thankful Thursday reports - thanks to all of you for being so patient waiting for Sandy to get back. 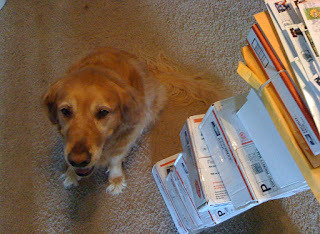 Check out the rack of mail she picked up at the Post Office - the clerk at the front just said, "How about backing up to the loading dock today?" Uhm. That was a little scary to think about that much mail! Fortunately the west coasters were kind - only a small number of cards needed tucked, and a handful needing stamped! Wooohoo! That made for a much faster evening of sorting over 5000 cards. Thank you! CHA was an incredible experience, and may be the tickmark on a chart of growth that we'll see later. Tune in to the show to hear some stories, if you missed out on the CHA vlogs posted from the show. There are a number of deals in the making that can't be shared til they're firmed up, but WOW! OWHtv - 6:30pm Pacific tonight! Also - bigggggg announcement coming up on tonight's show as well, so you'll want to tune in and to be the first to hear about it! Hint: Sandy's going on a diet starting today! Two weeks of Thankfulness to catch up - wowsers! What a list of generous and creative folks we have for you today! Bless you all! 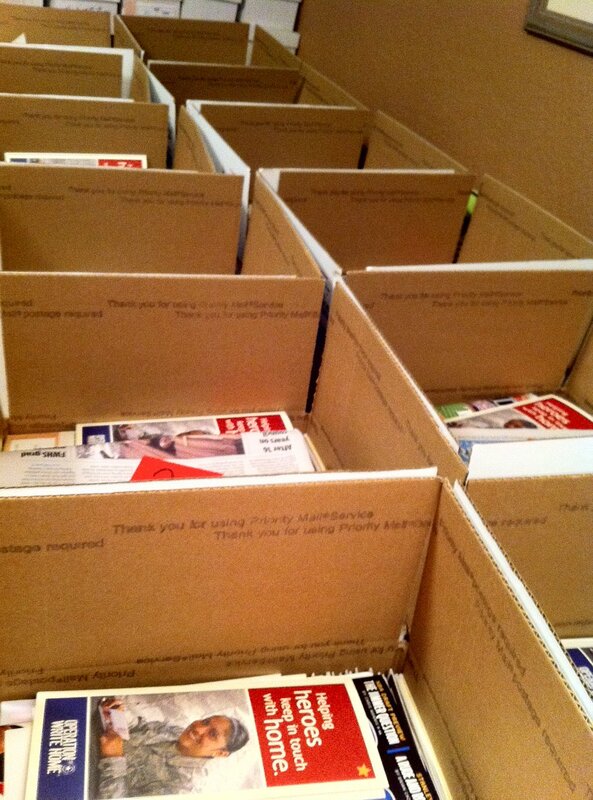 This week 3,994 cards were mailed out - at a cost of $153.40. 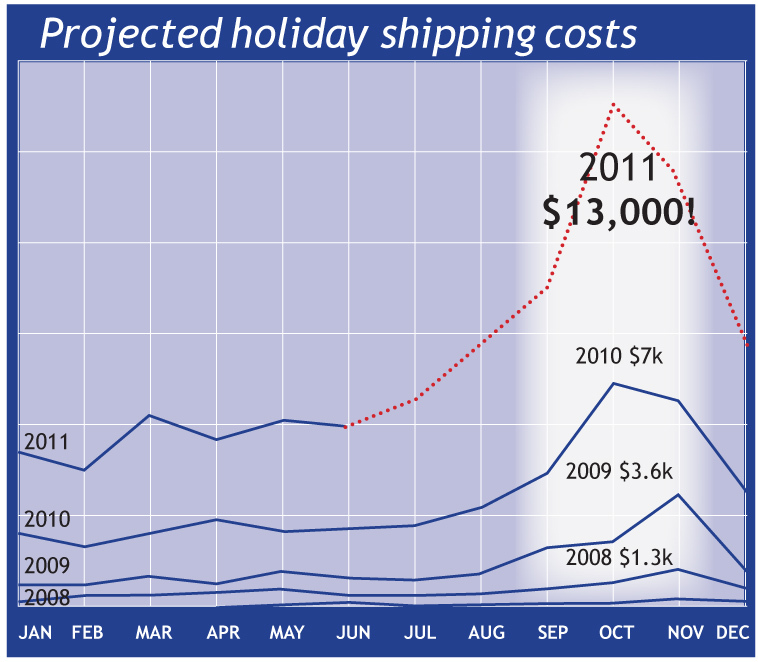 The low number is mostly due to CHA and certain shippers being out of town. Stay tuned as we catch up on the mail! Someone is thrilled that mom's back home. No report this week due to CHA....next week we'll have a double report! Be sure to go read updates from the show on S&S! 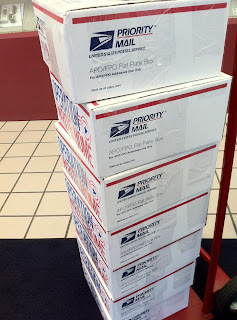 This week 9,201 cards were mailed out - at a cost of $383.45! Sept 16 - Halloween - see special note here! More often than not in the wars, these dispatches are about younger troopers and what they suffer and accomplish, and more often than not, it’s not glamorous or pretty. It’s gritty, ugly and lonely. But many people at home make a difference. 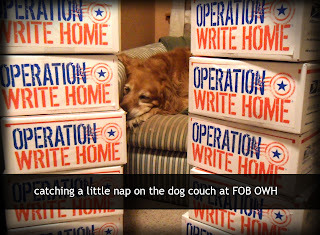 I was going to a meeting a couple weeks back and saw this box of “Operation Write Home” cards, and so I stopped to make a photo because the people at home need to know how important their acts of kindness can be. Those acts of kindness have a cumulative effect and it’s amazing that despite nearly a decade of war, so many people at home are still so supportive. Here's the latest tv story that's been aired, thanks to Colleen for being willing to make cards on television! And...in the Orange County Register....reporter Jenny Sokol wrote a wonderful piece here about OWH! We're reposting it below because the OC might not keep that up forever....we wouldn't want to lose this great article! When I first heard that a nonprofit organization was sending blank cards to deployed troops, I did a double-take. Letters to the troops, I understand, butOperation Write Home has shipped over 1 million blank cards to service members overseas. Then I read their motto, "Helping heroes keep in touch with home," and understood that the traditional model has been flipped. Now, service members can send a beautiful, hand-crafted card to the loved ones they left behind. While a homemade card is a gift small in size and concept, its impact is significant. Most family members don't expect to receive a hand-written letter during a deployment. And while binder paper would suffice, these gorgeous cards pack an emotional punch. Sandy Allnock, the founder of Operation Write Home, is a graphic designer for World Vision and an avid card maker. 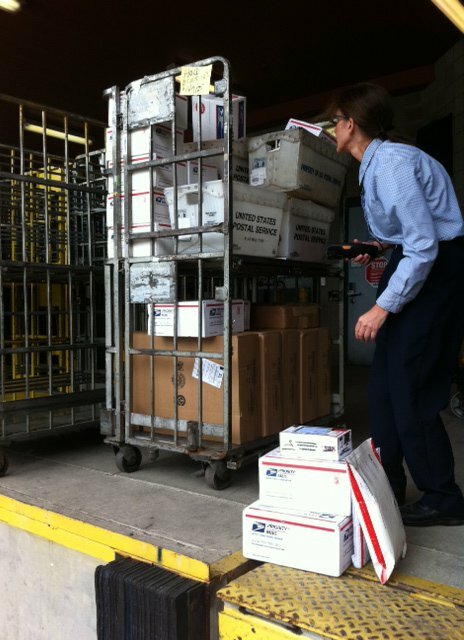 In 2007, she heard a story on the radio about a woman who shipped 1,000 cards to the troops. Allnock considered her own stash. She had boxes full of unused cards. After all, Allnock says, "You only have so many people you can send birthday cards to." Allnock posted a message on a craft website, wondering how she might ship her cards overseas. A female soldier at a combat support hospital in Baghdad responded: She would love to distribute them. Allnock and her friends shipped three boxes stuffed with cards to the soldier. The effort snowballed as word of mouth spread throughout the card-making community. Allnock created a blog and a Facebook page. When shipping donations began to roll in, Allnock formed a board and gained status as a nonprofit. In May of 2011, with weekly shipping costs often nearing $1,000 a week, Operation Write Home sent their one millionth card. Today, crafters across the country -- of all ages and experience levels-- design one-of-a-kind cards. These card-makers are aware that one of their cards may be the final correspondence between a service member and his family, so they ensure each is a work of art. A variety of styles and messages are included in each shipment, such as holiday, birthday, thank you, miss you, and special occasion cards. Before every box is sealed, it's topped off with letters of gratitude. So what are the service members doing with all these cards? Mailing them. One Major posted just these words: "Box arrived, near riot ensued." An airman wrote, "These cards are like gold out here." A member of a hospital staff confessed that "so many of the cards and letters we receive are for our patients...it was nice to receive cards addressed to the staff." As for the family members, they couldn't be more thrilled. "The excitement is priceless on my 4-year-old daughter's face when she receives (a card) from her daddy." Some husbands have mailed empty cards home so that their children would be able to present lovely Mother's Day cards. A mother reported that her child carried Daddy's card for months, asking for it to be read aloud repeatedly. "I'm seeing the impact in all of these different ways," says Allnock, justifying why she devotes 60 hours a week to the project. "The crafters even have a purpose that they didn't have before. One woman donates cards to honor her grandfather who died in World War II." "Those moments," Allnock says, "catch my breath and give me new wind under my sails. It makes all those hours of labor worth it." She will need that wind, and lots of assistance, as Operation Write Home sets out on its Second Million Challenge. 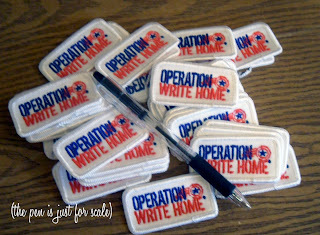 If you would like to help, tutorials, freebies and guidelines are located at www.operationwritehome. You can also enroll your deployed unit or make a shipping donation on the site. 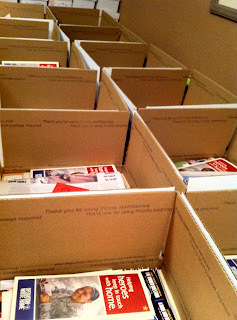 This week 11,497 cards were mailed out - at a cost of $490.00! FAST SPECIAL MISSION!! Sgt Josh Yarbrough needs some get well cards - we KNOW you'll be on it. Click here to get the address, and click the "home" tab there to read more about the Sgt. Send your card today please! Important note about halloween cards! We know many of you just love making halloween cards....or maybe it's just loving the change of colors and season. But in any case, we do need to make some special requests of you. Remember that halloween is NOT a letterwriting season for many many people. Lots of our heroes are surprised that we even send them. So not everyone will write 5 or 10 halloween cards like they might for Christmas. Please don't work on them with the same fervor/quantity as Christmas! PLEASE DO NOT USE SKULLS AND DEATH IMAGERY. If this happens to be the final card a family member receives from their loved one, that would be horrible pictures to have on the front. Please keep the cards as light and cheery as possible. We will not send skulls and crossbones. Also remember that during any holiday season, if you make lots of multiples of any design, make sure they get to us SEVERAL WEEKS before the deadline. It's really hard to mix them into all the boxes when they arrive in the last days before a deadline, since we may only have 2 or 3 moer going out by that time. 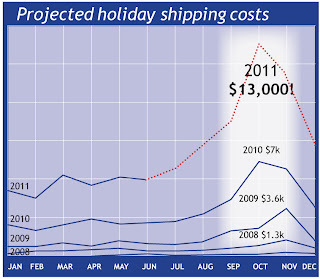 Many may be saved for the following year if they arrive that late. Get creative with images, papers, and sentiments - use the cute witches and ghosts to make cards that can e used PAST halloween. Look at your card and ask yourself - could someone send this in November too? If so, you're good to go! 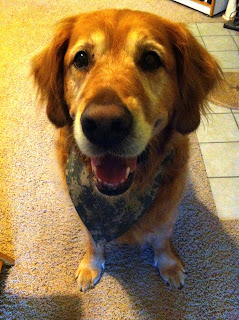 Many thanks to all of our wonderful donors who give us the warm fuzzies week after week, month after month, as you send in your beautiful cards for our heroes! It is still utterly amazing that OWH has taken off as it has, and that the cards just keep on coming. Bless you all! And of course here's a reminder about OWHtv tonight! This week we'll be sharing a little about the CHA plans, a cute set of Extreme Card Makeovers, and gobs of letters from our heroes. Plus the story of MEETING a Marine - and what he said about OWH! Tune in at 6:30pm Pacific to chat live with other cardmakers throughout the show, and to lend your (clap) applause to the chat box! (pow)! Without further ado...this week's donors! Mailroom Monday: July 4, 2011 - Happy Birthday America! This week 14,777 cards were mailed out - at a cost of $610.60! 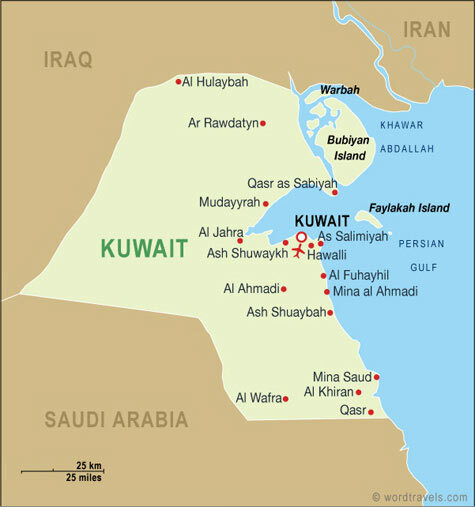 We're really seeing the effects of the drawdown in Iraq lately; more and more of our contacts are requesting from Afghanistan than ever, and our Iraq folks are coming home. Someone's a little tuckered out from packing boxes.